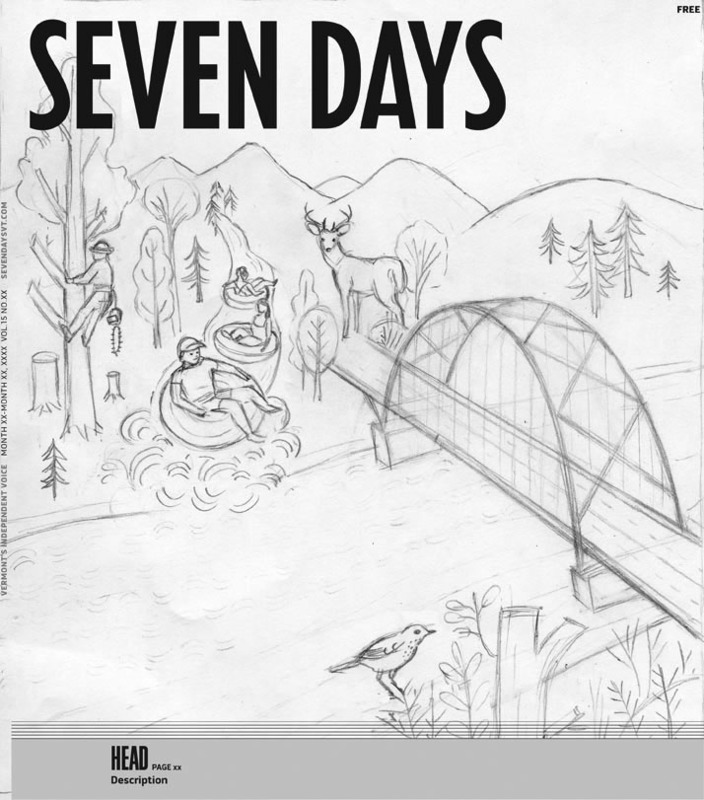 Afew weeks ago I was asked to make a cover illustration for Seven Days, an independant Vermont magazine. It was art directed by Celia Hazard, who was a pleasure to work with. It was a super tight turn around time (about 3 or 4 days). 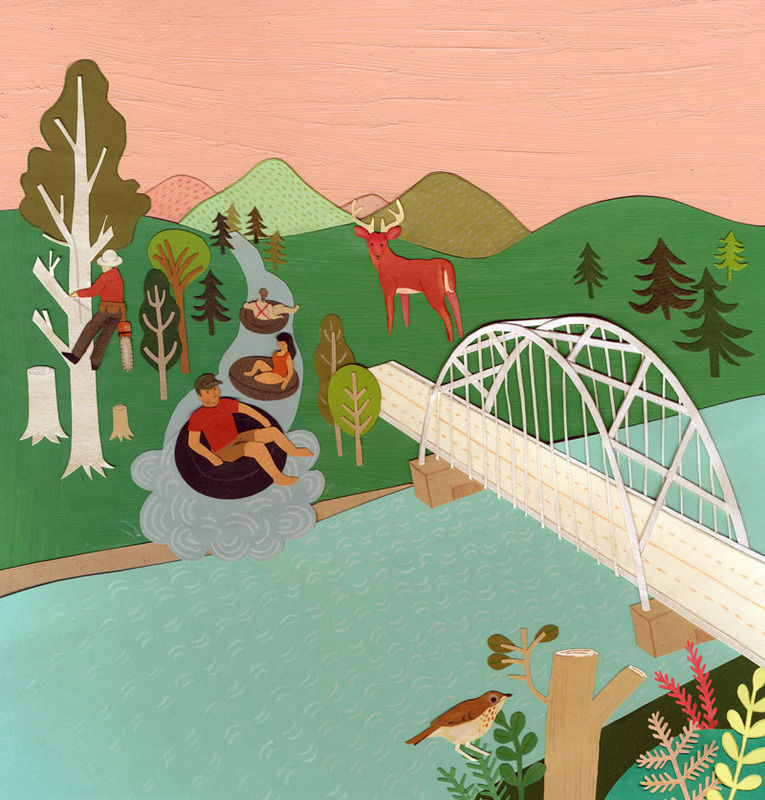 The cover includes the Champlain Bridge, tubing in the Adirondack Mountains and a woodsmen chopping down a tree. All stuff that appears in that issue. Today's Parent, September issue is out! And so is the latest illustration I made for their debate page. This debate was about breastfeeding past age two. Seems like a pretty hot topic these days. Hope you enjoy my little suckling piglets!